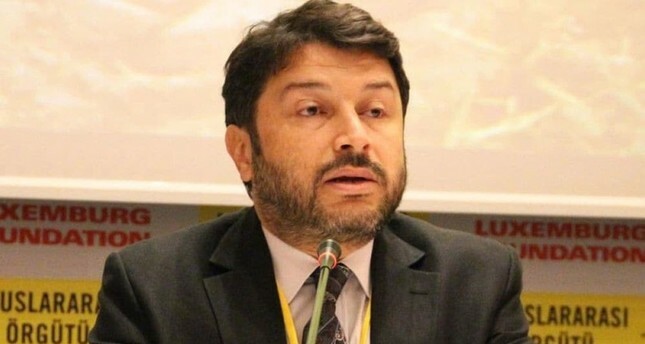 A Turkish court ruled Wednesday to release the chairman of Amnesty International's Turkey branch, Taner Kılıç, from prison as part of a case known as "the Büyükada Trial," Amnesty International's new Secretary General Kumi Naidoo said. "We are overjoyed at this news. It has taken us more than a year of campaigning and struggle to get here, but it appears that Taner will finally be freed," Naidoo was cited as saying on the non-governmental organization's website. An Istanbul court previously ordered Kılıç's conditional release and imposed a travel ban on him while his trial on terrorism charges continued. Kılıç was the only jailed suspect among 11 defendants charged on membership in a terrorist group and aiding a terrorist organization, and was linked to the Gülenist Terror Group (FETÖ), which is accused of staging the July 15, 2016 coup attempt. Authorities detained him in June 2017 for links to FETÖ, particularly for his use of ByLock, an encrypted messaging app exclusively used by the terrorist group. Kılıç was first arrested on June 6, 2017, before being released on Jan. 31 and rearrested the next day. He is accused of organizing the meeting in Büyükada, which he couldn't attend after being arrested in İzmir. He was also accused of using ByLock, an encrypted messaging app exclusively used by the members of Gülenist Terror Group (FETÖ). Kılıç denied having the app and claimed Bylock was downloaded to his phone without his knowledge when he downloaded religious-themed apps. Authorities last year announced that hundreds were unwittingly connected to ByLock when they downloaded religious apps to their phones. Some 11 human rights activists including Kılıç, were detained while they were conducting a human rights training workshop on July 5, 2017 at a meeting in Büyükada of Istanbul's Princes' Islands. In the indictment, the prosecutor charged the suspects with aiming to incite violent and chaotic mass public protests during main opposition Republican People's Party Chairman Kemal Kılıçdaroğlu's "justice" march between June 15 and July 15, 2017. Other suspects in the Büyükada case included German national Peter Frank Steudtner, Swedish national Ali Ghravi, and nine Turkish nationals, namely Amnesty International Turkey Director İdil Eser, Veli Acu, Kılıç, Nalan Erkem, Özlem Dalkıran, İlknur Üstün, Günal Kurşun, Nejat Taştan and Şeyhmus Özbekli.